Alexander – who refused to answer questions about Common Core while running in a primary race for his Senate seat in 2014 – made pushing through ESSA a priority when he took the helm of the Senate education committee. 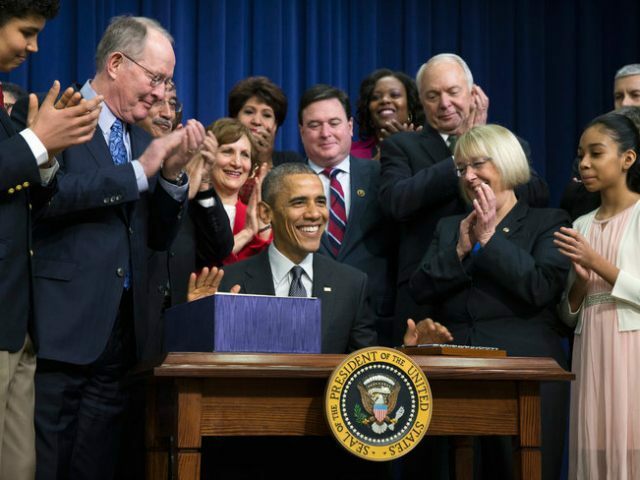 Back room deals among Alexander, ranking committee member Sen. Patty Murray, and House Education & the Workforce Committee leaders led to quick passage of the “compromise” legislation in both chambers of Congress followed by an immediate signature into law by President Barack Obama. Anxious about conservative push back, establishment politicians including Alexander and Murray joined forces to pass ESSA, garnering open support from Duncan, House Minority Leader Nancy Pelosi, and the nation’s largest teachers’ unions. The National Governors Association and the Council of Chief State School Officers – both owners of the copyright to the Common Core standards – as well as the U.S. Chamber of Commerce supported the legislation. The compromise between the House-passed Student Success Act and the Senate-passed Every Child Achieves Act of 2015 gets Washington out of the business of running schools. It protects state and local autonomy by prohibiting the Secretary of Education from coercing states into adopting Common Core and by preventing the secretary from imposing requirements on states and school districts through executive fiat. To help each state bring all parties to the reform table, we deployed four tools. First, we forced alignment among the top three education leaders in each participating state—the governor, the chief state school officer, and the president of the state board of education—by requiring each of them to sign their state’s Race to the Top application. In doing so, they attested that their office fully supported the state’s reform proposal. Second, we requested (but did not require) the inclusion of signatures by three district officials—the superintendent, the school board president, and the leader of the relevant teachers’ union or teachers’ association—on each district-level MOU. This approach, among other benefits, gave unions standing in the application process without giving them veto power over it. Third, we created tangible incentives for states to gain a wide base of community support for their plans. Securing buy-in from multiple stakeholders—business groups, parents’ groups, community organizations, and foundations, for example—earned points for a state’s application. Having the support of a state’s teachers’ union earned additional points. Nevertheless, conservative opponents of Common Core have been the only group to consistently point out that both the federal government and state legislatures and governors have been in blatant violation of the Constitution’s principles of federalism where education is concerned. In fact, the federal government has no constitutional authority in the area of education and it is the duty of states to protect their authority over this and other areas by pushing back against encroachment by the federal government – not by getting in league with it for cash handouts with “coercive” strings attached. Cunningham mocks Alexander from the left, touting that in the senator’s own state of Tennessee Common Core and new teacher evaluation plans were the result of the “incentivizing” RttT program. Tennessee was one of the 46 states that adopted the highly unpopular Common Core standards. Despite significant pushback from parents and teachers, Gov. Bill Haslam (R) is a supporter of the standards and signed a bill that essentially rebrands them. Cunningham, however, fails to mention Tennessee’s 2015 NAEP scores, which show a different picture, one of results remaining relatively stagnant since 2013 – during the time Common Core was fully implemented. More than half of fourth graders and at least two thirds of eighth graders still scored below proficiency levels in math and/or reading in the state in 2015. In the end, Cunningham says Alexander “deserves his victory lap for getting the new law over the finish line,” but also observes the senator did so by being “deceptive” with language that serves to undermine Common Core. Conservatives, however, were never deceived by Alexander, and it is their voice that has made federal involvement in education a major issue in the 2016 Republican primary.